Whether you’re opening a new medical practice or replacing a staff member, it’s important that you dedicate a lot of time and resources to hiring and managing your employees. Hiring incompetent staff can cause a lot of problems. For example, a receptionist who doesn’t always send out appointment reminders or test results to patients could harm a patient’s health and invite potential lawsuits. On the other hand, if you don’t manage your staff properly and fairly, this can result in low productivity and high turnover. To ensure the success and profitability of your medical practice, here are 12 tips for effectively choosing and managing your employees. First, take your time when writing the job description. Include the number of people you’re looking for, the kind of personality you want for a particular role, and the skills, experiences and qualifications required. For example, you may need up to four medical receptionists, especially if they’ll be working on shifts or part-time. They should be able to offer excellent customer service – making patients feel at ease and helping them fill out forms – and be able to work with various software applications on the computer. It’s even better if they had studied a medical course or worked in a similar role. There are a lot of things to check when determining which candidate is right for the job. Depending on the position you’re trying to fill, you might need to check a candidate’s criminal background, credentials, licenses and references. You can also use online standardised tests to judge a candidate’s professional competence. 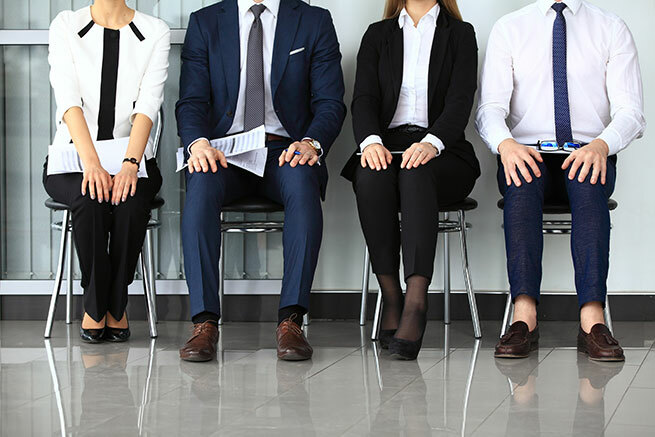 Conduct preliminary interviews over the phone to test the communication skills of the candidates in order to narrow down the number of face-to-face interviews to 3-5. Then conduct panel interviews with 1-2 other staff members to see how well the candidates get along with them. You could also show candidates around the workplace after an interview so they can meet other staff members and get an idea of what the atmosphere is like. How they interact with others and respond to the workplace environment can help you determine which candidate fits your practice’s culture. When recruiting a medical practice manager, for example, from the outside, make sure they have a strong understanding of your practice, strong patient empathy and leadership skills. While they’ll be responsible for managing most of the day-to-day operations and guiding your practice as a leader, they should also be accountable to you as the owner. Also get all of your staff members to meet your chosen candidate before you hire them. On the other hand, you can consider promoting someone from within your team who already has a good understanding of your practice and works well with all staff members and patients. You should also provide them with training to make it easier for them to transition into their new role. Don’t hire a candidate just because they’ll accept a low salary. Get someone who has the skills and competencies your practice needs both now, and in the future. You’ll also want to hire someone who you believe will work at your practice for many years to come based on how long they’ve worked at their previous jobs or what their future goals and aspirations are. Once you’ve chosen your medical employees, you need to think about how to manage and keep them. Low job satisfaction and high employee turnover are very costly for any medical practice as they can affect productivity and hurt your bottom line. According to The Hudson Report H2 2016, 76% of Australians are actively or passively looking for a new job, while only 24% plan to stay in their current job. The salary amount should be based on experience and education, and it can include raises, bonuses, or overtime pay. The benefits package must include health and life insurance, as well as superannuation. Also consider offering time off for holidays, parental leave, flexible work schedules that involve telecommuting and flexible daily hours, among other things. This can be anything from free food on Fridays or free parking, to contests and incentives aimed at motivating and rewarding your employees. You could also provide financial rewards such as stock options, an income raise, or a yearly bonus for those who meet certain performance goals. Conduct interviews with long-term employees and ask them questions like “Why have you stayed?” and “What would make you leave?”. Then use their answers to improve your strategies for employee retention. 98% of employees say it’s important to develop their skills today. However, just 38% of employers say they provide learning and development around innovative thinking. Training your employees to learn new skills or paying for their education can keep them excited about their jobs and make them keen to stay. On the other hand, promoting long-term or top-performing employees can motivate others to stay and do better. 70% of employers believe they have a culture where new ideas are openly discussed but only 47% of employees think that is true. Moreover, 1 in 2 employees don’t feel supported by their manager to improve their existing skills. It is important to allow all of your employees to offer ideas and ask questions, and let managers coach employees to minimise poor performance and help them move to new positions. Also tell your employees what your practice’s mission and goals are and what you expect from them in order to keep them tied to your company and performing at their best. If your medical practice has around 100 or more employees, a human resource manager is essential. They’ll be responsible for managing employee benefits, programs, perks and tasks and ensuring that your employees receive fair treatment. But of course, a medical practice manager can also deal with the human resources aspects of your practice. Every medical practice is unique, so if you need professional advice on hiring and managing your employees, contact MEDIQ Financial today. We can help you build a successful and profitable practice.